Quoting the PT mayor of São Paulo, Fernando Haddad, elected last year, he said that ‘stepping from the street into your house, a lot has improved in our country, but stepping from your house to the street, nothing has been done.’ In other words, household incomes have risen and families can afford more consumer goods but public services, be they transport, health or education, are abysmal. The protests, says Lula, are a wake-up call for the government to do something about this. It’s a reassuring way of looking at the protests. There’s nothing to worry about, normal growing pains for a young country, and we’ll sort it out. 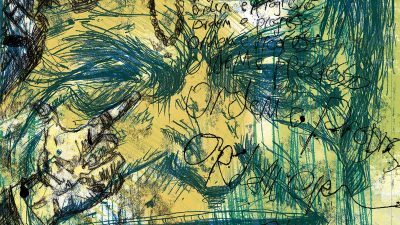 In the early days of the PT government Lula’s alchemy – skilfully drawing on his popular legitimacy as a workers’ leader – might have worked to pacify the protesters. But today his words sound complacent. The fact that the protests erupted outside both the party political system and the labour movement is an indication that the old ways are not working. It is partly that Lula’s successor, Dilma Rousseff, is a technocratic manager, who excels in the negotiations with agri-business, banks and foreign governments that are needed as Brazil accelerates its attempt to become a global power as a resource-exporting economy, but is notoriously reluctant to talk to social movements. But a more fundamental issue is what has happened to the party that Lula helped found. For many in the older generation it is hard to break from a party that represented a dream of a democratic and egalitarian Brazil and has brought about real change. Today the poorest households receive a greater share of national income than ever before, yet these advances have not given people a greater political voice. So what about the PT’s much talked-of participatory democracy? Indeed, the government under Lula created a large number of participatory spaces, setting up numerous national councils on a variety of issues, particularly health. But social movement activists have repeatedly complained that resolutions that went against government policy or powerful economic interests have not been adopted. It is going to be difficult for the PT to recover the lost ground. 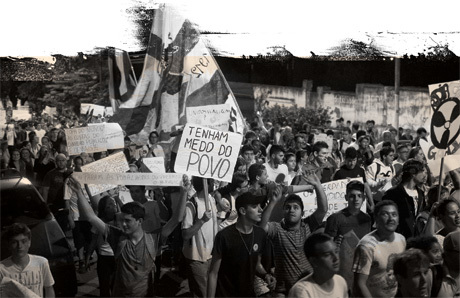 The young have little memory of the PT as a party rooted in social movements; they associate it with the systemic corruption of the Brazilian political system. As a minority party, the PT, which once prided itself on its ethical approach, rolled up its sleeves and dug in, forming alliances with noxious right-wing parties, even appointing a homophobic evangelist to head the human rights commission. Yet it was always viewed with suspicion by the old political elite, which was overjoyed when the PT government was almost brought down by a vote-buying corruption scandal, known as the mensalão. So where does it all go now? 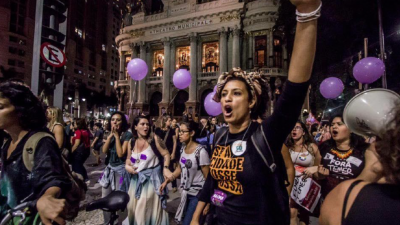 Much will depend on alliances that can be built up between different movements – and on Dilma Rousseff’s leadership. Here signs here are not good, for many believe that her initial proposal – to hold a national plebiscite on political reform – will not deliver change quickly enough. There are clearly risks. The right has infiltrated many of the demonstrations and is working hard, with the support of some TV networks, to create a right-wing backlash. There is unanimity on the left, even among those critical of the PT, that this must not be allowed to happen. For many, the 2002 election of Lula, a worker, meant that the people were in power. Now, at least in the cities, people are gaining a sense of their own power. The big demonstrations on 11 July, bringing together for the first time trade unions, the MST and the early protesters, were a hopeful sign that it may be possible to forge an effective alliance. 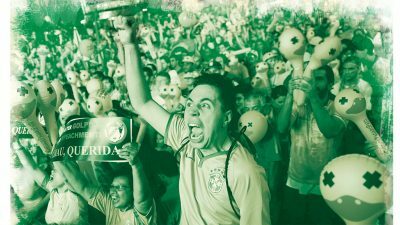 It’s clearly a new and exciting phase in Brazil’s history but it is too soon to know where it will end.